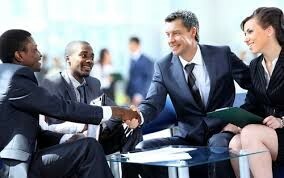 Networking involves connecting with people, sharing ideas and accessing anything helpful, for mutual benefit. Building a personal network of contacts is a powerful and effective way of managing your career. For an engineer or technical manager it is particularly effective as it enables you to achieve more in a shorter timeframe. No one person knows everything and so tapping into others’ knowledge and experience is an invaluable way of solving technical problems in order to make progress. Networking can benefit your day-to-day job, your business and your longer term career aspirations. For some, networking has negative connotations – pushy sales guys handing out business cards and trying to make deals by any means necessary. Of course, it doesn’t have to be like this. In fact for engineers and technical managers if executed properly, the benefits of networking can be considerable. Networks aren’t just about getting more business or a new job. However the thought of networking can still leave some people feeling anxious. Overcoming the mental barriers to networking is necessary to be as effective as possible. It certainly isn’t about being aggressive. Be yourself and use your natural conversational style and skills when talking to others. It needs to feel natural. An important point about networking is it should be for mutual gain – both parties should benefit. This doesn’t mean either of you should feel obligated to return favours straight away. Instead, networking is more about patiently building long term relationships, where opportunities to mutually help materialise. Remember everybody is in it for the same purpose and no man is an island. Put like this, there is no need to fear rejection if approaching others. For an engineer or technician, a big advantage is better and quicker problem solving, through knowing more experts in more areas. Access to advice; as an a result, improved decision making as you can draw on the knowledge and experience of others. Influence, a higher profile and respect because of your connections. Getting things done more quickly by knowing who to go to for help. From a career management perspective, networking offers the opportunity of purposely seeking out people who can assist with your goals and aims. Typically those who can help you may be more senior or further on in their career. One idea is make the network relationship more formal – mentors and role models can be invaluable for structured career development. Once you understand your career aims and goals, you will be in a better position to start developing a varied network of individuals who can assist you work towards objectives. A broad network means you should consider those who think differently to you, have different expertise and different approaches. They should complement your own skill-set. Try to think imaginatively about the gaps in career goals and try to find people who can fill them. Networks shouldn’t be too comfortable. Some of the people in your network should provoke and challenge your thinking. So what does your current network look like? Who’s in it? To find out, try mapping your existing network. On a piece of paper with you in the centre, jot down the networks or groups to which you are linked at present. These may include work, family, industry groups, professional institutions, sport and social groups, web-based social networking etc. For each of these can you jot down names and numbers? Who have you been in contact with recently? Consider your own career goals? Are there key people in your network map who may be able to directly help you? Or could they assist by potentially giving you access to their own networks?